Blog Now That's a Bouquet! Here’s a sneak peek at a bouquet we did for a wedding this past weekend. The bride wanted this flowing orchid bouquet to almost touch the ground as she walked down the aisle. 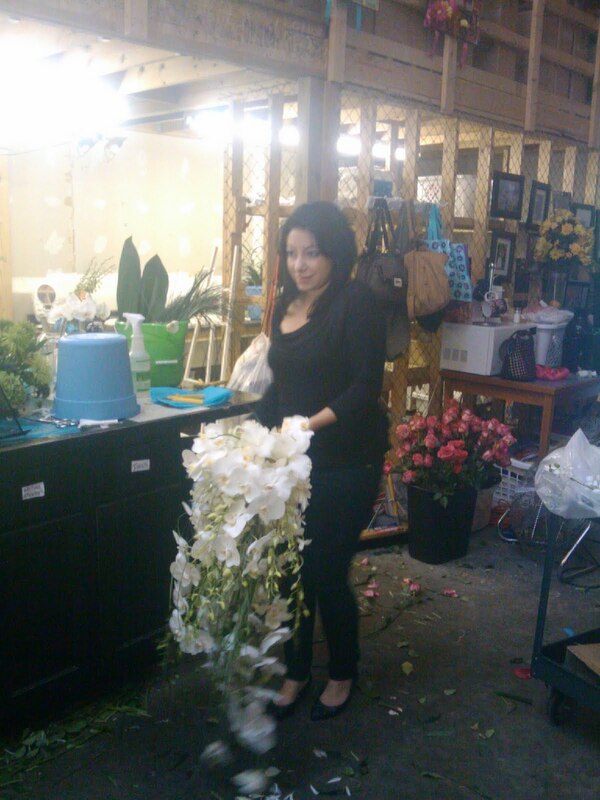 Our designer, Shahla, made that request a reality with about 5 different kinds of orchids and one very heavy bouquet! 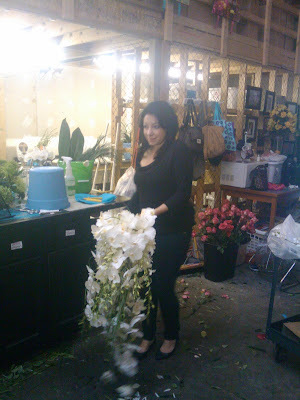 When it was completed, this bouquet was approximately 4 feet long! Professional shots of the bride carrying it when we get them!! !